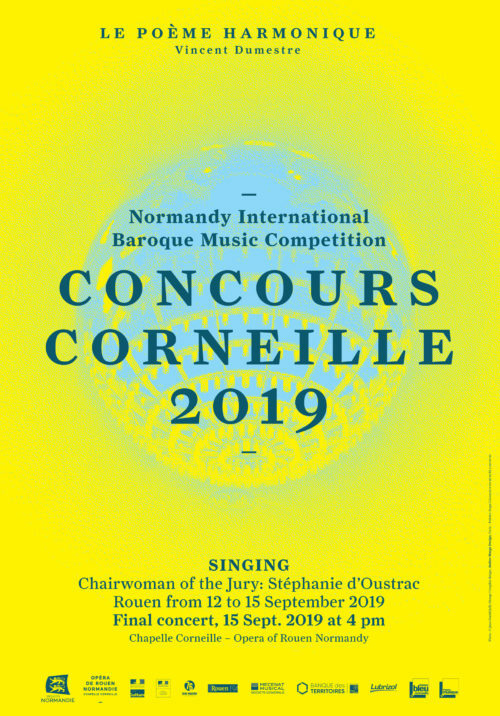 After the great success of the three previous editions, the Corneille Competition is dedicaded this year to the singing. Under the majestic vaults of the Corneille Chapel, new talents from all over the world will compete before a jury chaired by Stéphanie d’Oustrac, famous mezzo-soprano with an internatinal career, and composed of renowned artists, professors and productors, who will reveal the promising singers of the Baroque singing of tomorrow. The Corneille Competition is organized by Le Poème Harmonique in collaboration with the Opera of Rouen Normandy. It receives support from the Normandy Region, the Caisse des Dépôts and Lubrizol France. The procedure how to apply will be soon available.